I am new to this forum. I have experience in the recycling markets and work with many manufacturing facilities. 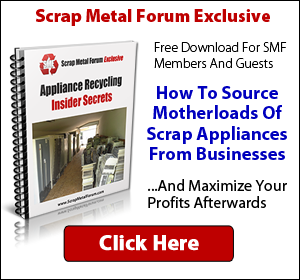 I am looking forward to finding new vendors and markets for scrap and post consumer products. Welcome to SMF and our little part of the world. It is always nice to have a perspective from the other side of the market. I look forward to your contributions.